We’ve previously reviewed the Clarivue Ultra-Clear for iPhone 5, but we figured we’d show you how easy the install is on the iPhone 5s/5c. These screen protectors adhere using static and are our favourites as a top pick, compared to others we’ve used and reviewed in the past. The Ultra-Clear models are $14.99 for the front (two protectors inside), with a back option available for $5 more (coming soon for the iPhone 5s). Other protectors include their Anti-Glare ($14.99), Privacy ($19.99), Mirror Screen ($15.99) and XT Glass ($19.99), to go along with some iPhone 5/5s/5c cases as well. What are the benefits of these screen protectors? The protectors are so clear and unobtrusive sometimes you forget you even have a protector on. Clarivue also offers free standard shipping to Canada, the USA and International orders plus a lifetime replacement warranty (you pay $3 for shipping, plus have to ship back your old protectors). No more dealing with expensive US shipping options or duties. 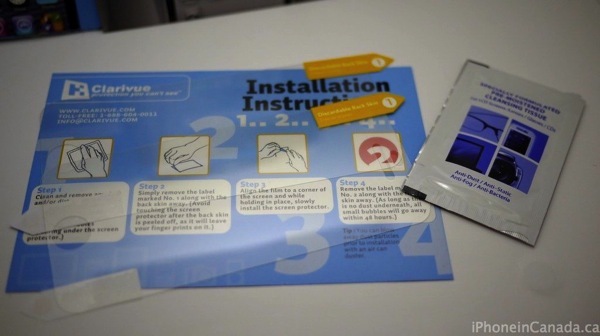 Plus, installation is a breeze (no more wet sprays) as it basically installs itself. Also, as a bonus the company is Canadian, based in Richmond, British Columbia so you’re supporting local if that matters to you. As for downsides? 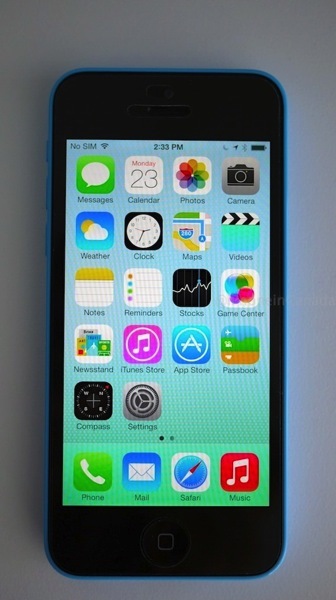 Fingerprints do appear but you can’t see them when the screen is on. Most screen protectors will attract fingerprints regardless. The cuts are fairly accurate so you do have to ensure you line the protector up accurately. If you mess up, you can just remove it and try again (but that increases the chances of dust getting on the screen) or just use the second protector. These protectors have a minimalist look for those who use their phones naked. If you’re looking for thicker drop protection you might want to look elsewhere or buy a case. These are the ones I’m using right now and recommended to friends and family when I get asked which ones to buy. Haven’t experienced any ‘corner peeling’ since they’re so thin it doesn’t catch or latch onto things in your pocket. Want to save 10% off your order? Just enter the following promo code during checkout: clarivue1231. This coupon is stackable on top of their regular ‘buy 3 and get 10% off‘ deal (works out to $11.99/pack after both discounts on the Ultra-Clear; time to do a group buy with friends). 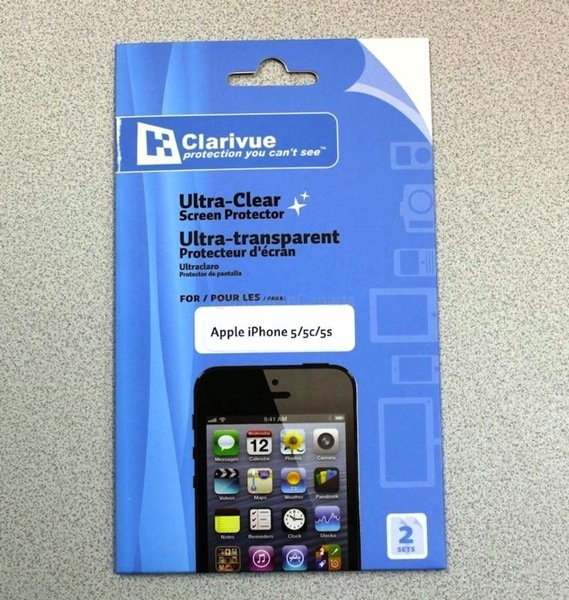 Click here to order your screen protector from Clarivue today so you’ll have your protection before your iPhone 5s arrives!